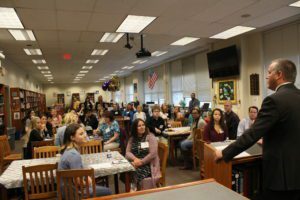 Career Discovery Experience (CDE) internship students, along with their mentors, gathered at Troy High School to commemorate their experiences over the year at the annual breakfast reception. The program, formally known as Career Exploration Internship Program (CEIP), is coordinated by Rose Gorman. Gorman provided each student with a certificate to mark their completion of the program. Students and their mentors had the opportunity to share their experiences with the group. 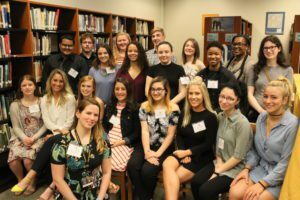 CDE gives students the opportunity to explore occupations through work experiences in such fields as business/industry, science and technology, health care, governmental entities or private not-for-profit agencies. Students learn what it’s like to work in one or more careers by learning what skills and education are necessary for specific occupations. They observe positive adult role models and gain an understanding of the importance of appropriate attitude and behavior, integrity and ethics, human relations and communication skills, teamwork, time management and good study skills.